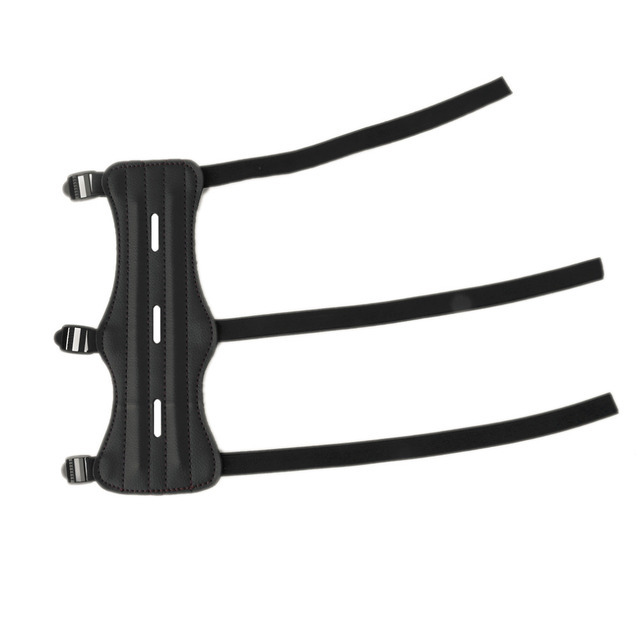 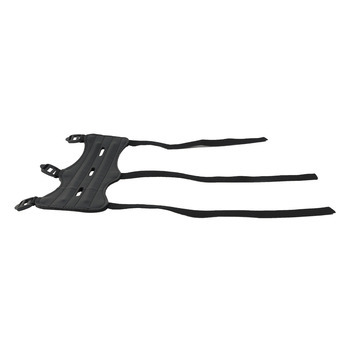 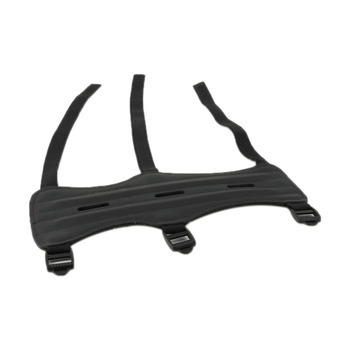 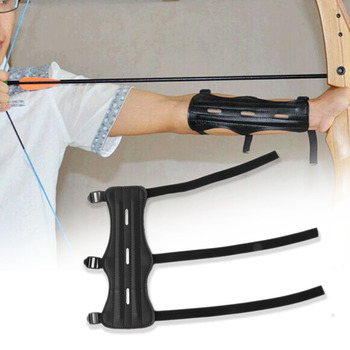 Durable arm guard with 3 elastic straps. 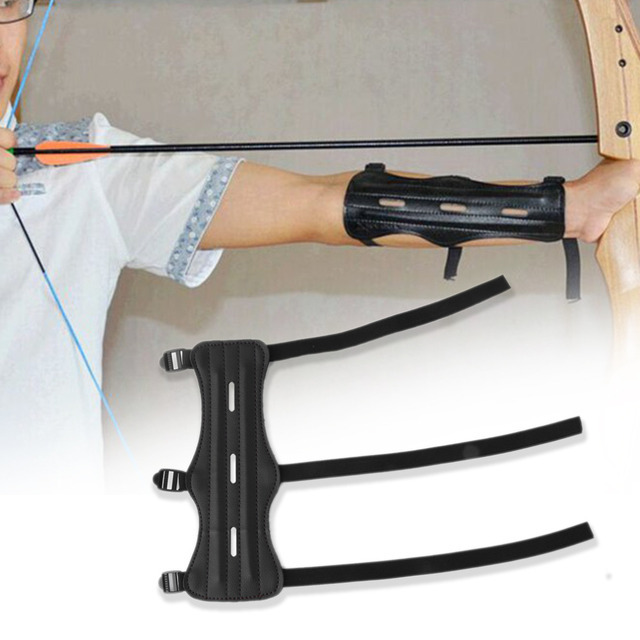 The arm guard is designed to protect your forearm from being hit by the bowstring, when firing an arrow. 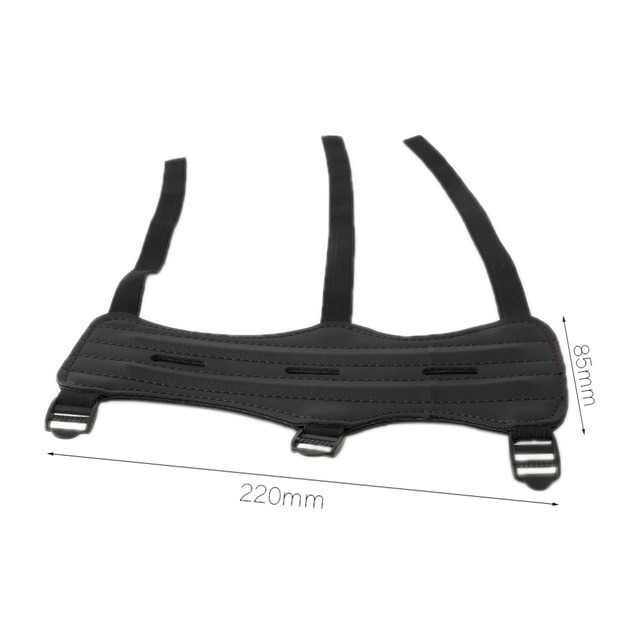 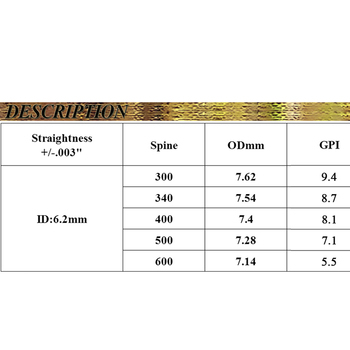 It is easily adjustable and fits on most size arms.